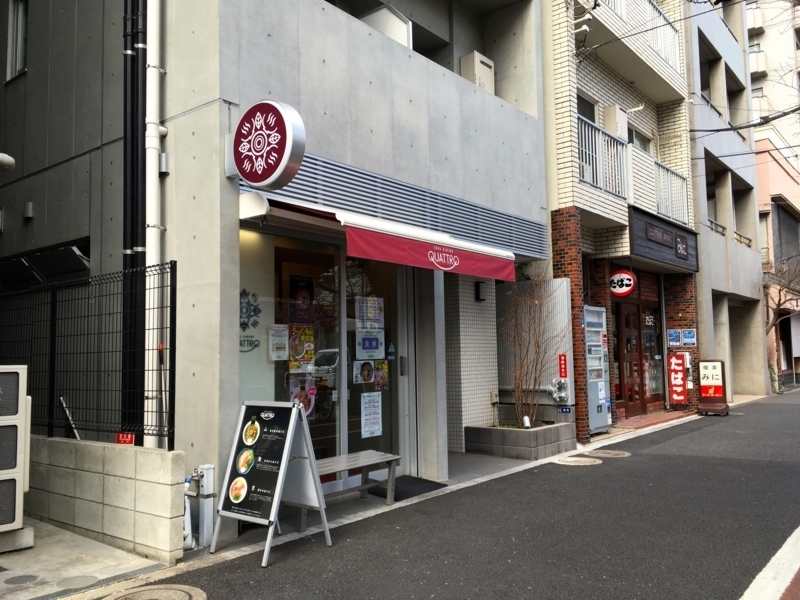 In the Omori station area around the JR Keihin Tohoku Line, I have recently visited a very popular ramen shop, but the line in front of the store was too long and gave up. I was totally wondering if the timing was bad, but actually I knew there was another good shop near here. 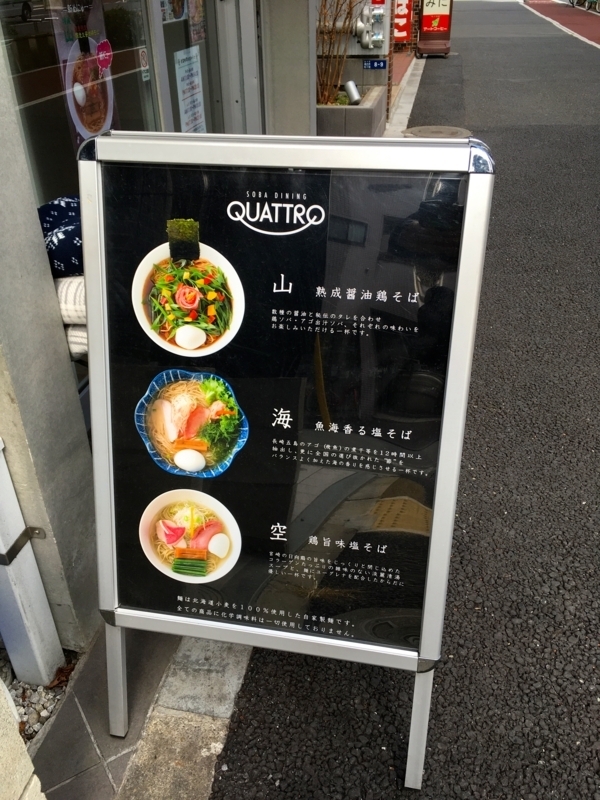 That is "Soba Dining Quattro". To my surprise, even if I suddenly visited, it was not crowded. 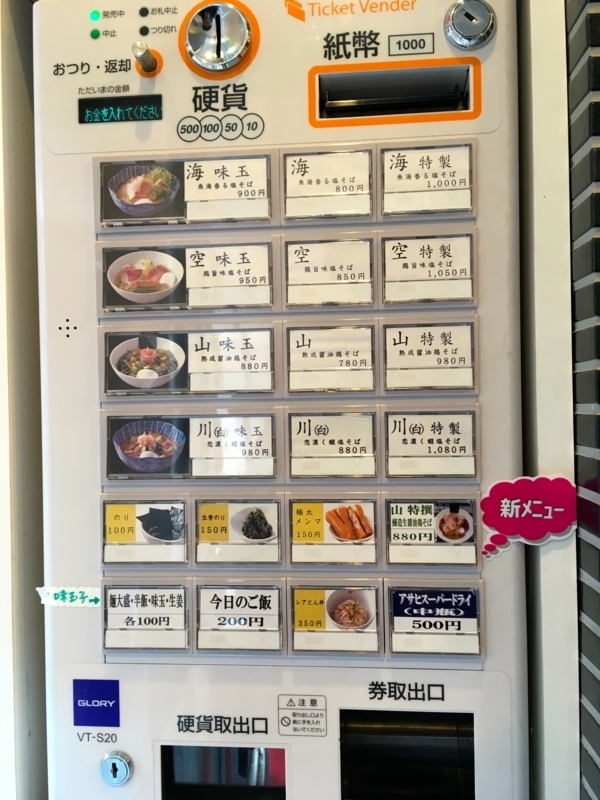 This store offers 4 kinds of ramen. Each of them is a name associated with nature (sky, mountain, river, sea). 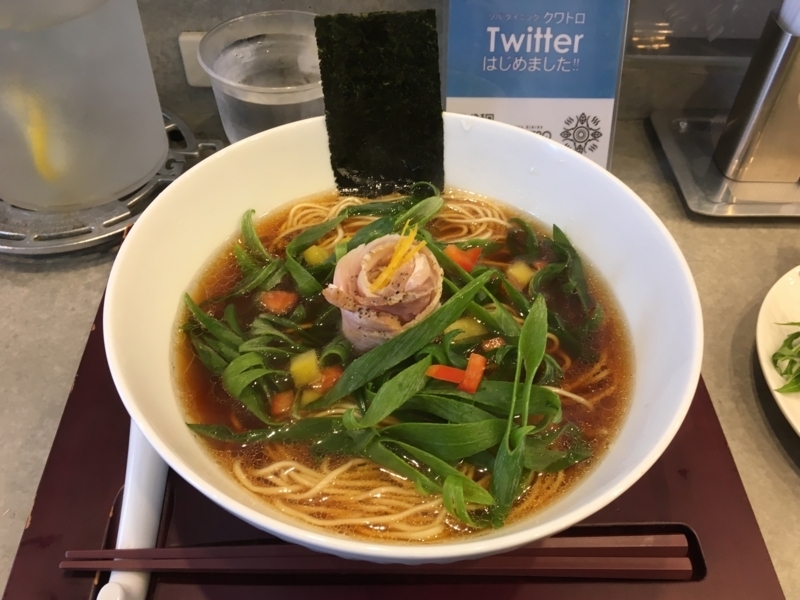 I got soy sauce ramen named "mountain". 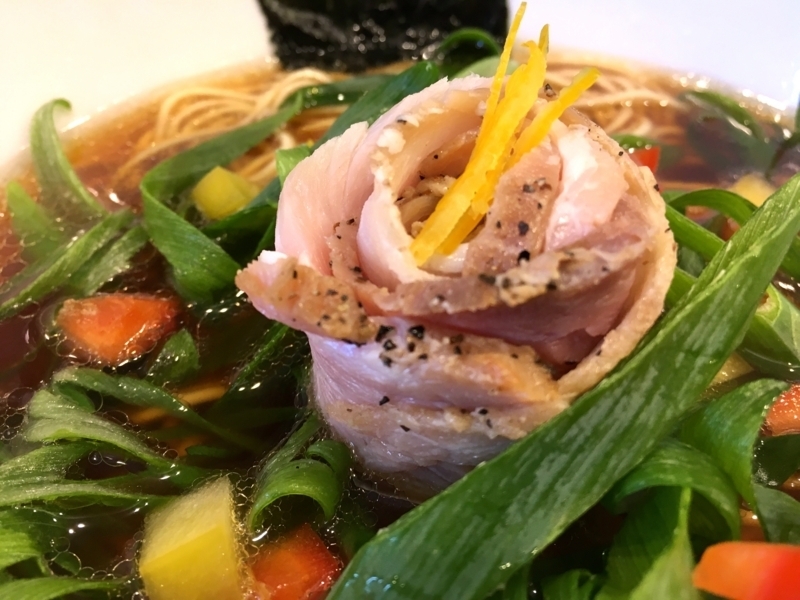 That ramen is very beautifully decorated. The meat of the topping is shaped like a flower of a rose, leaves are expressed by leeks. 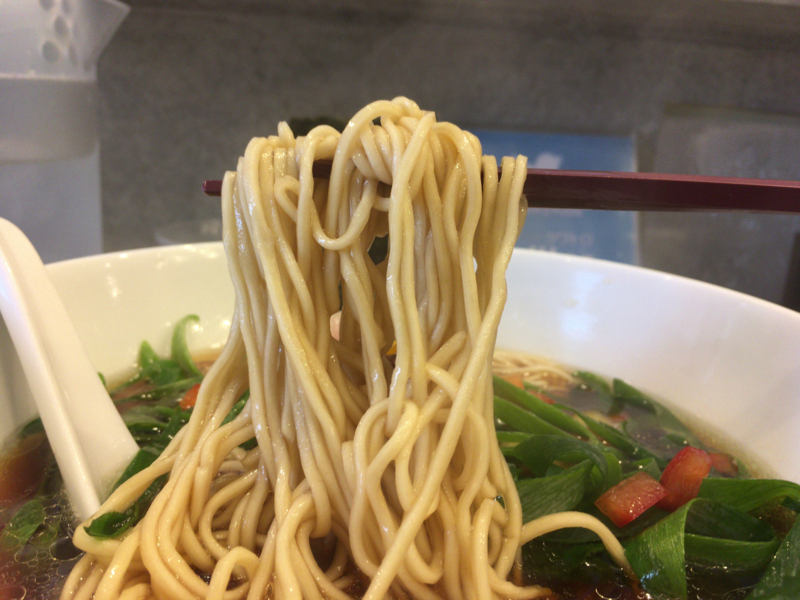 The face of the ramen looks like a rose garden. 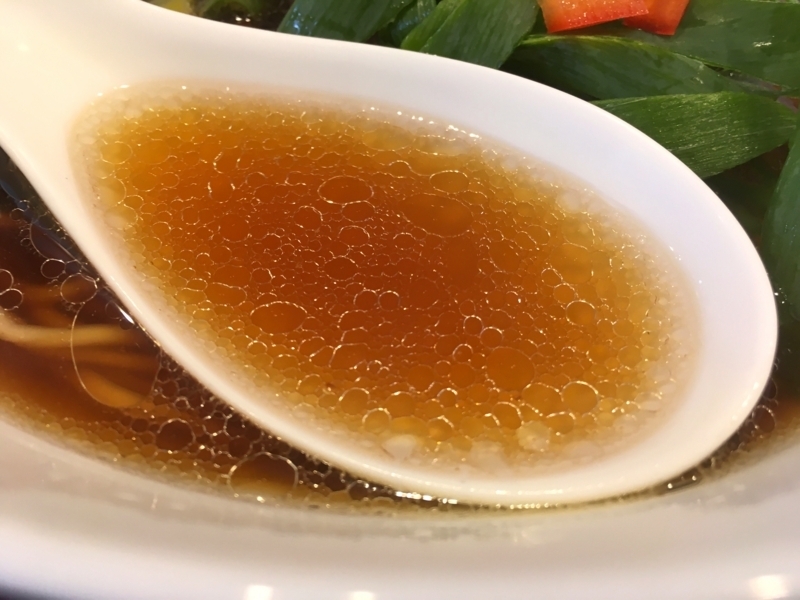 Soup is based on soy sauce. And it contains the taste of chicken boiled carefully, and it has a rich flavor. The taste of the fish is also deeply blended but I feel strongly the taste of chicken. Very clear taste aspreads. Noodles are very nice shades. And the body is very thin, beautiful straight. It goes well with the taste of soup. It is not al dente, but it has reasonable chewiness. The meat seems to be used for low temperature cooking, it has a very fresh flavor and taste, and it has softness. Two kinds of pork and chicken can be tasted. I feel dear. Also, this ramen has excellent vegetable topping. 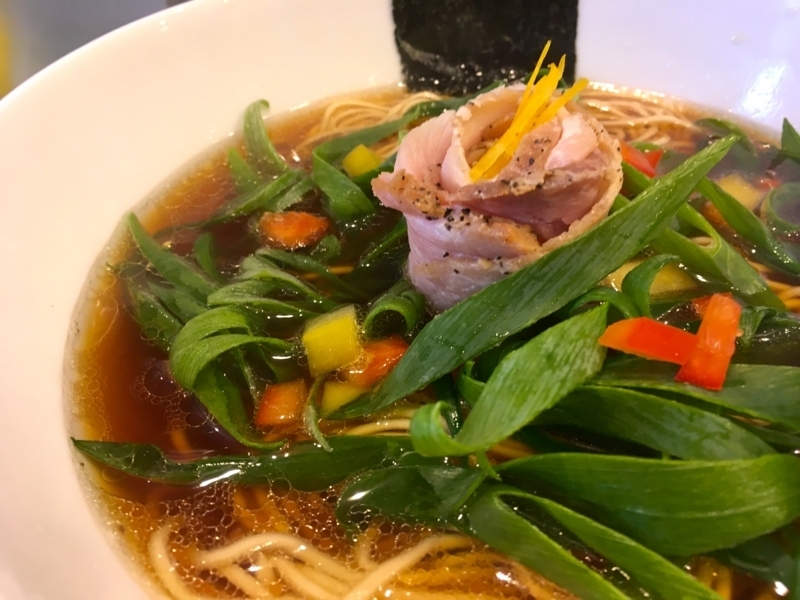 For this, the chef uses plenty of Japanese herbal vegetables. So overall, the ramen has a clean taste and never needs a chemical seasoning. I think that this shop will become more popular. I want to eat other menu (river, ocean) before crowding. This shop is also quite recommended. 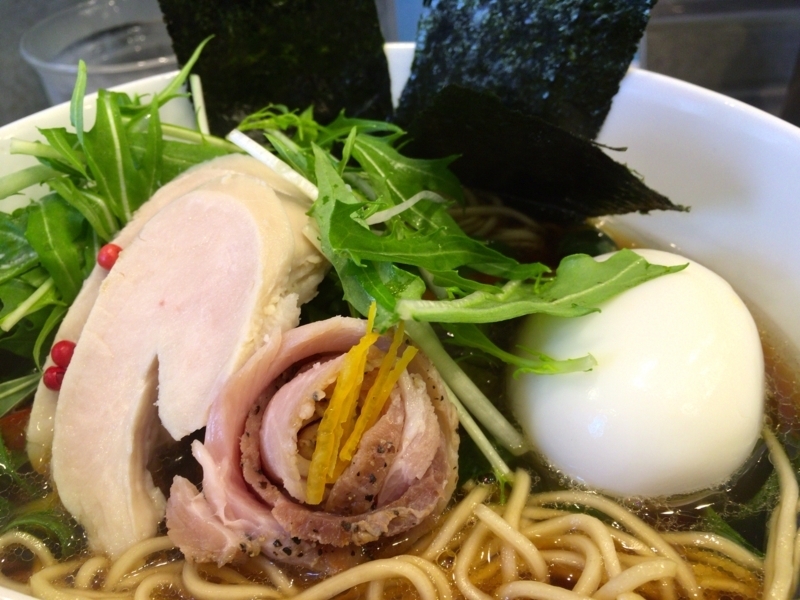 Thank you for a wonderful ramen today!